Sitting in a room for hours maybe a nightmare for kids, and that’s what happen when they go to school. But what if outdoor activities are what they learn of? That’s what happen in the forest school, yes, they are combining the word forest and school. Forest school is an outdoor activity, mainly done in the forest or other natural spaces, to help children learn about personal, social, and technical skills. Being in a forest school will educate the children to develop self-esteem and independence which are not being taught in ordinary conventional schools. The first movement that lead to the existence of forest school can be tracked back to the 19th century. Some philosophers, naturalists, and educators such as Wordsworth, Ruskin, Baden Powell, Leslie Paul, Kurt Hahn, and Susan Isaacs were the names who laid the foundation of it with their movements. Those people introduced learning about life through outdoor activities, like Baden Powell who introduced Boy’s Scout, Leslie Paul with Woodcraft Folk in 1925, and Kurt Hahn with Gordonstone. Those are the inspirations for outdoor education that later leads to forest school. The introduction of first Forest School was done in 1993 by a group of nurses at Bridgewater College, Sommerset. They got their inspiration after visited Denmark to inspect about the country’s preschool system. In Denmark, there is a culture called ‘frulitsliv’ that permeates early education. In 1995, Bridgewater College started to offer the outdoor activity around the UK to early years education practitioners. While the rest of Great Britain started to adopt the method since early 2000s, starting from Wales and other local authorities. In 2002, the first conference of Forest School was held to give the definition of it: An inspirational process that offers children, young people and adults regular opportunities to achieve, develop confidence and self-esteem through hands-on learning experiences in a local woodland environment. In the conference, they also mentioned some key features needed for a forest school. A forest school need to run by qualified level 3 practitioners, a long term with regular contact with local wooded environment, teach children about and manage risks and also integrated learning about nature. In the Forest School, there are many activities, but usually children need to attend a meeting once in a week in a woodland with a qualified practitioner. The process starts with an initial first 6 week as observation and assessment period and continued with longer term program. In the first 6 weeks, will children learn about the social and emotional aspects. After the baseline assessment produced, the practitioners will then continue to support the learning and development of the members. As long as the process continues, the practitioners will try to identify what each member needs and give the supports needed to overcome that. That’s why, the adult to child ration in this activity is often higher than ordinary school to make sure each member supported sufficiently. For primary school age children, the agenda often includes activities to develop curiosity and exploration of all the senses about surrounding environment. This often includes spatial awareness and motor development developing activities for them. Beyond the primary school age, social skills and creative learning development activities are the main thing to be learned. 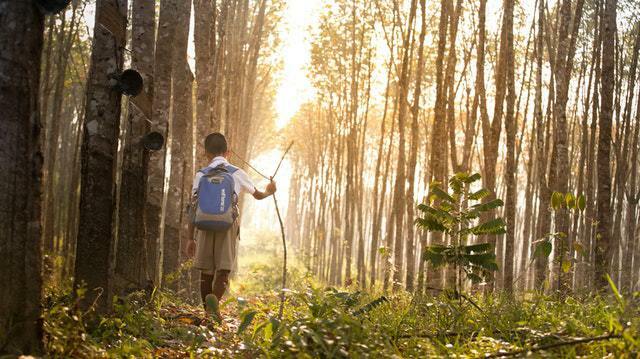 Thus, forest schools are often not only opened for children, but also older members, even adults. 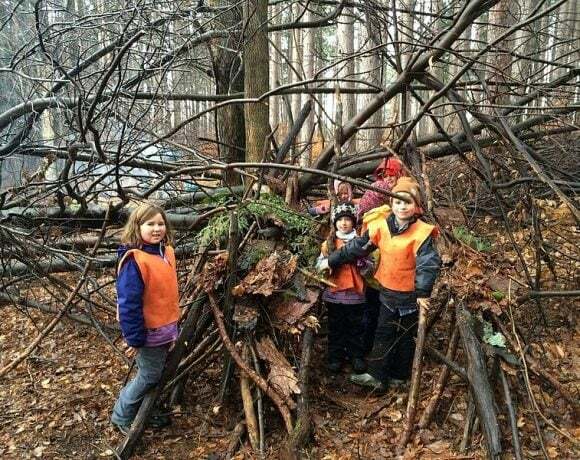 Rather than learning about ordinary things that being taught at conventional school, the activities in forest schools teach the members more about social and environmental values. Honesty, integrity, respect, and care are the main ethics that the members learn about. Thus, for members with exceptionalities, the combination of freedom and responsibility being taught in this kind of learning activity benefits those who need it. Especially for those children who suffer from lack of confidence and whose behavior is challenging. The high ratio of adult to children will sometimes allow the children to experience activities that they are prohibited to do. Climbing trees and lighting fires are often being taught in the activities and that may be the first time they do it by themselves. However, they are still protected by the practitioners. That will help to grow those children’s inner confidence and independence. As a response, the children’s curiosity and motivation to learn will naturally grow too. For those members who do not perform well in the classroom, the growing of confidence, independence, curiosity, and motivation will benefit them. In general, boys are also known to prefer to do outdoor activities. Thus, fulfilling their needs of outdoor activities will also satisfy the needs of the boys, giving them enough time to chase other dreams than just simply being outdoors. 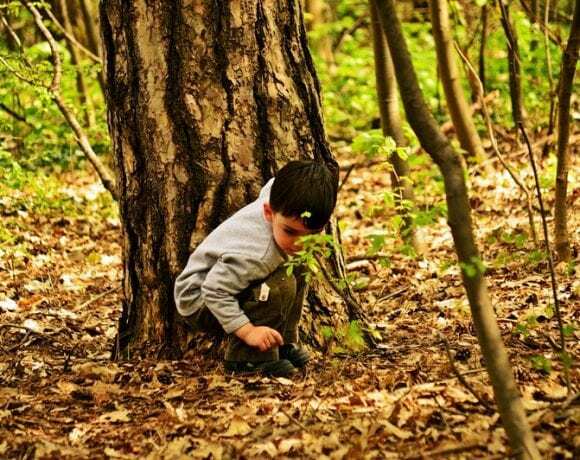 Children who attend forest schools are reported to be more relaxed than those who don’t. They are benefitting from frequent involvement with other children, adults, and environment. Also from the risk management often learned from forest school’s activities. In a study in USA, students with more environmental learning also caused fewer discipline problems than those who don’t. This kind of education also known to help children with attention-deficit hyperactivity disorder (ADHD) and autistic ones. 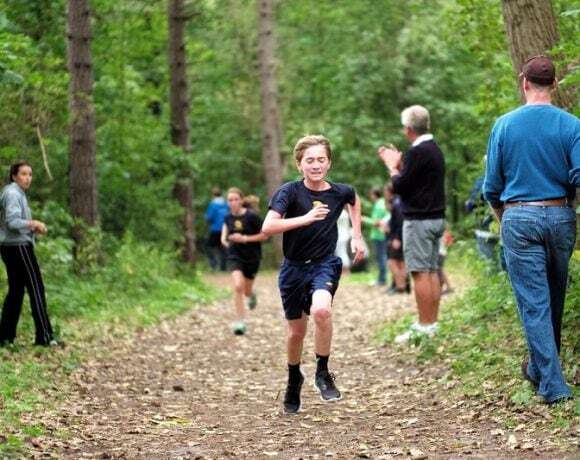 In a testimony shared by a 14 years old forest school member named David in Forest School Association, he said that being in a forest, where the activity often take place, makes him feel supported. “I don’t have ADHD when I`m out in the woods,” he said. Often this kind of activity take place all along the year because in addition to greater values learned, the children will also learn about the weather and changing of seasons. It introduces them better to nature and increase their frequency to visit outdoor places. By being more in the outdoor, their sense of belonging to the nature will also increase and as they grow up, they will be likely grow more love to the environment. So, in the future, they tend to have more knowledge about environment and visit nature with other members of their families.